I don’t know what motivates this sort of thinking. Narcissism? Misandry? Boorishness? 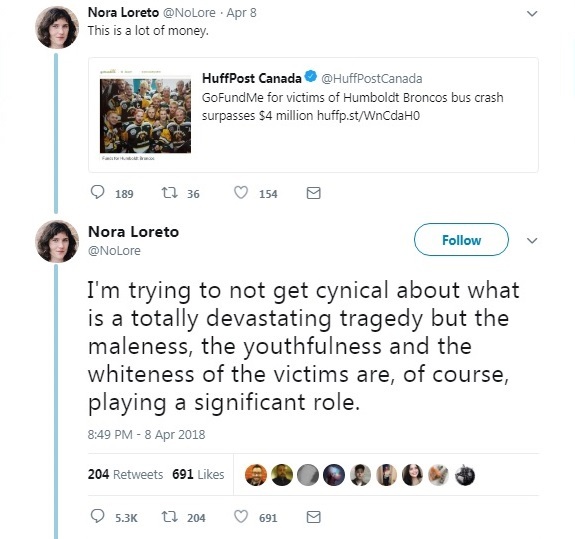 It’s unfortunate that even amid a tragedy that claimed 16 lives and injured 15 others, some can’t help but wave their social justice warrior capes. On the positive side, the above individual would appear to be far outnumbered, as more than $15 million has been raised for those involved in the Humboldt Broncos bus crash and their families. Yes, we all have the right to voice our opinion, but that doesn’t necessarily mean we should do so each and every time a thought enters our mind. 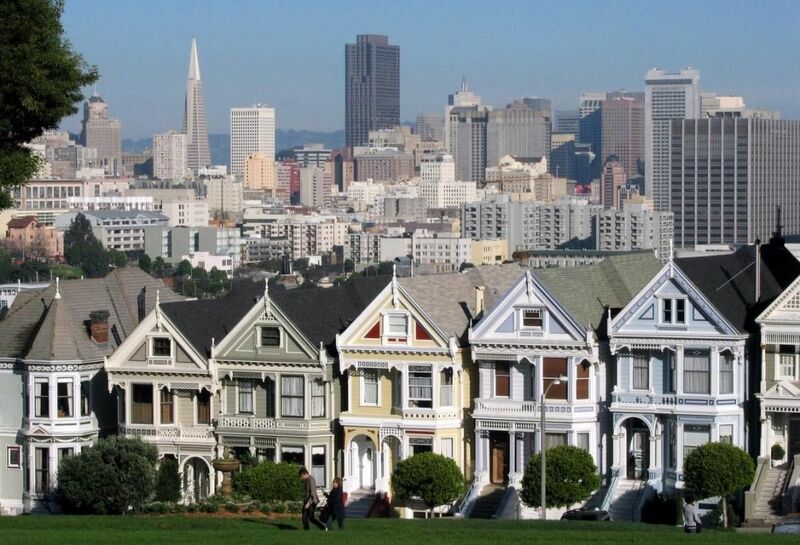 More than 20 years ago while living south of the San Francisco Bay Area I attempted to reduce my 2-1/2 hour commute by moving closer to my job, located in San Francisco’s financial district. The best deal my then-wife and I could find was half of a run-down duplex in a run-down neighborhood in an ugly part of an ugly suburb. Yes, we were enamored. The duplex featured almost no yard, was in desperate need of extensive renovation and was located in a neighborhood loaded with gang graffiti, lots of blacktop and cookie-cutter structures. I couldn’t haven’t imagined a less appealing environment, especially given that it was still 30 miles from my office. Still, it was the least-expensive housing option we could find within an hour of the city. The price in 1996 was $267,500. We literally decided within minutes of walking out of that duplex that we would have to move out of the Bay Area in order to buy a home. Things, apparently, are even more expensive now. Consider that a burned out home in San Jose is selling for $800,000. The realtor representing the seller said the asking price is reasonable given the housing market and its location. Realtor Holly Bar tried to downplay the price by stating that it’s the lot she’s selling, not the house. “They did leave it standing so you can remodel it versus tearing it down so you save a lot of money when you can leave a wall up and do a remodel versus a complete teardown,” she said. The latest numbers in California’s Santa Clara County show the median price for a single-family home is $1.4 million, according to television station KTVU. Barr said that less than 24 hours since posting the listing on Facebook 10 potential buyers have contacted her. She anticipates it will sell in a few days. I’ve often wondered how individuals, even those with high-paying technology jobs, sleep at night having to make mortgage payments of such proportions. If there’s an industry downturn and you lose your job, it’s a lot harder to hold onto your home when your monthly housing payment is $3,000, $4,000 or $5,000. The region does have nice weather, plenty of amenities and other opportunities that are hard to come by elsewhere. Still, when burned-out homes are selling for $800,000 and the median price of a single-family home is $1.4 million, one wonders if another housing bubble is about to make itself felt.